The mothballed Hawaii Superferry is being put to work shuttling troops, aid workers, trucks and supplies for Haiti relief work. The 866 passenger ship cruises at twice the speed of the Army ships and with built-in luxuries such as flat-screen tv's, comfortable airline seats, civilian crew and high tech galley, none of the soldiers are complaining. A second Superferry, out of service in Honolulu, is also on the way. After years of controversy about the ferries in the Islands, this mission of aloha is one that unites all Hawaiians. The ships were out of service due to lack of economic viability—and that resulted from poor choices for consumers and conflict over adverse environmental impacts from the over-sized vessels. (A few years ago on Kauai, a makeshift flotilla of kayaks, fishing boats, and outriggers blockaded Nawiliwili Harbor.) Most Hawaiians are happy to see the big boats sail off into the sunset, especially since they are embarking on a much-needed mission of mercy. 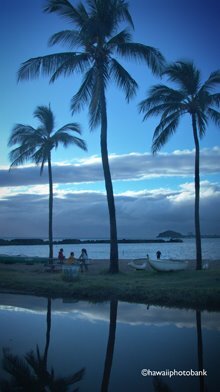 The Kamaole Beach Parks on Maui's "Gold Coast" (there are three of them, side by side) may be Hawaii's best to take the kids, while away the days, and do some safe swimming and snorkeling. 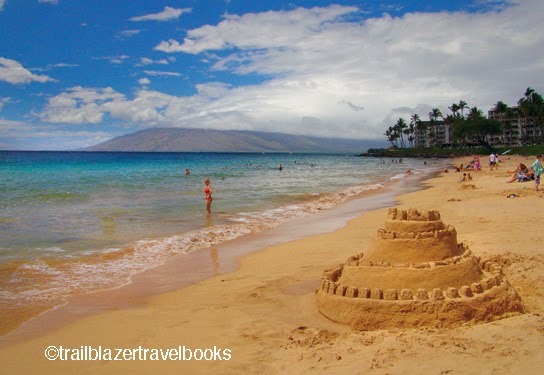 The backshore, which is the town of Kihei, may be not be the most glamorous, a boulevard strewn with mid-level resorts and condos, franchise and local-style eateries, and pedestrian shopping centers, but it fills the bill for a no-nonsense, reasonably priced family vacation. Just south (adjacent and connected by a beach walkway) are the high-end resort beaches of Wailea, and offshore are views of other islands, Lanai and Kahoolawe (although pictured here is West Maui, which appears as another island from Kihei). 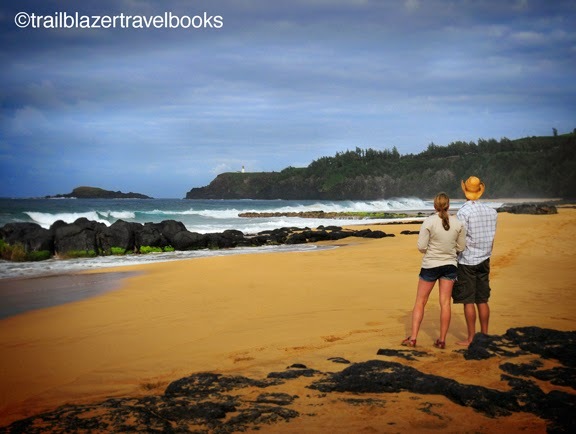 Throw in day trips of Haleakala National Park and the Hana Highway, and maybe a snorkeling safari to Molokini island three-miles offshore, and you've got yourself a sweet little family vacation. Sun is pretty much guaranteed. 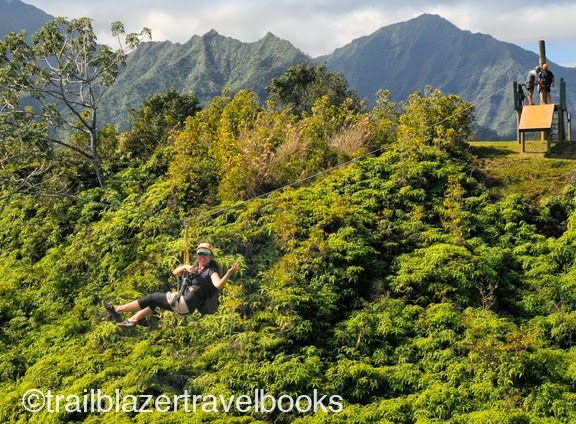 To be honest, some of the guided "adventures" in Hawaii aren't worth the money, especially on Kauai where there are plenty of wildlands and beaches for the independent traveler to explore for free—by foot and flipper, by paddle and pedal. One notable exception is Princeville Ranch Adventures, set on 2,500-acres of green upslopes on the north shore. The Carswell family, stewards of this natural treasure for many generations, gives visitors a chance to zip across valleys harnessed (safely) to a cable and then take a dip in private stream pools set below a waterfall. The $145 tour includes a delicious picnic lunch and the moderate hike between the 9 ziplines is just over one mile. You can also see the place by horseback. 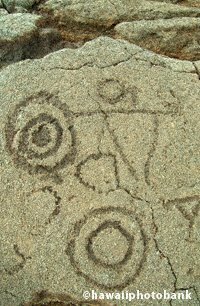 The ranch hires guides who know what they're talking about and will give even repeat visitors new insight. 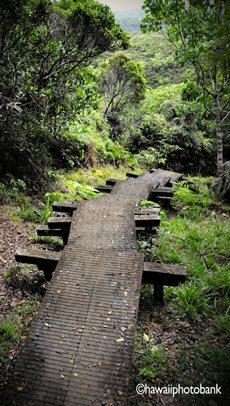 For details or reservations, check out their website and for additional hiking trail ideas on the north shore consult the new Kauai Trailblazer. 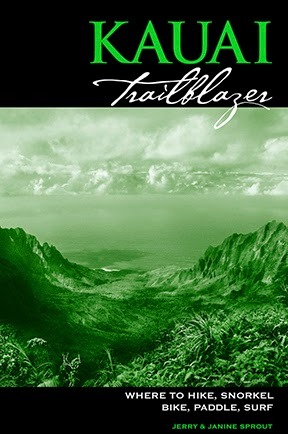 The completely revised and updated fourth edition of Kauai Trailblazer is now available from Amazon, B&N.com, and Trailblazertravelbooks.com. Its 260 pages contain a number of new hikes and adventures, plus more than 200 photographs—including a four-page color insert. 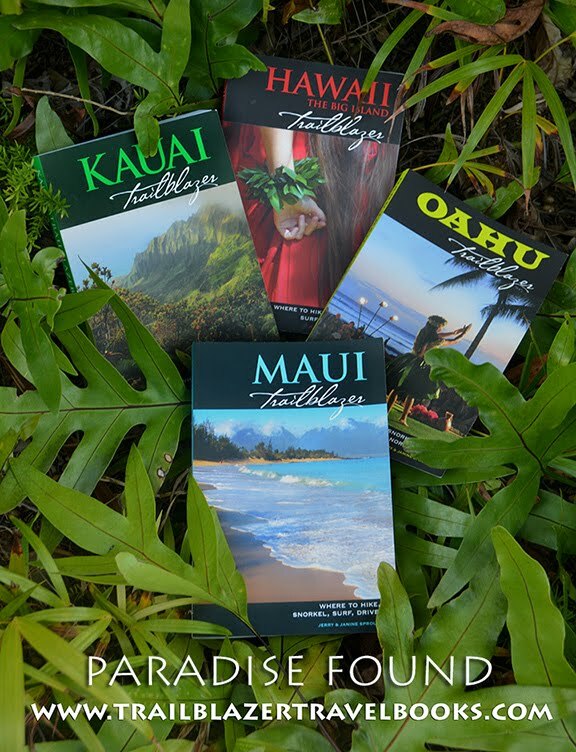 Get this book and give a good look before you jump on the jet to Kauai, and use it as your detailed, day-to-day fun finder once you get to the island. 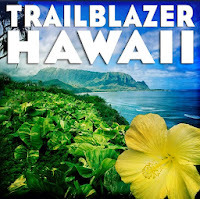 Kauai Trailblazer has become "the bible" for independent adventure seekers. It is a complete guidebook (with restaurants, lodgings, advice, attractions, etc. ), but the heart of the book is its emphasis on cultural and outdoor attractions. KT is detailed without being long-winded, beautiful without being splashy, and full of aloha without sounding like a sales pitch. You can take a vacation a year for the next decade and not reach the end of the ride this book offers. 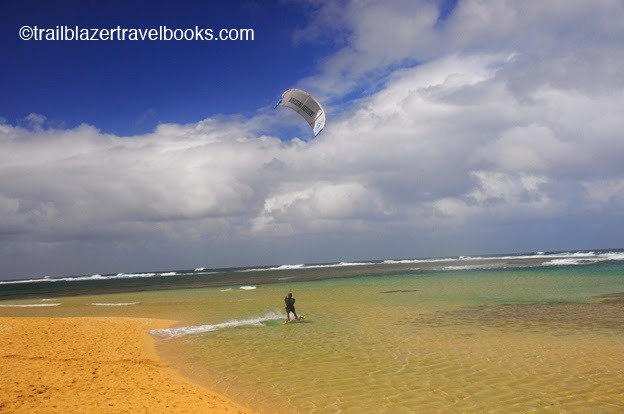 Head to Kanaha Beach Park on Maui's windward coast to see some of the world's best adrenaline-juice junkies go kiteboarding, zipping airborne on a sail with a surfboard clipped to their feet. The trick for the boarders (among many tricks, including having the cohones to do it) is to have the right amount of sail for their body weight so that they can swing above big waves in a pendulum motion, and not go lifting off into the Pacific skies. 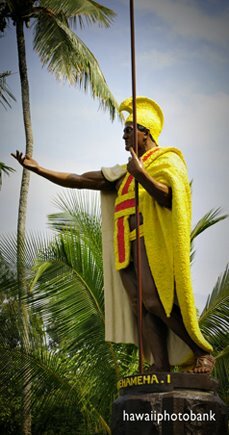 These guys and wahines come from around the world. 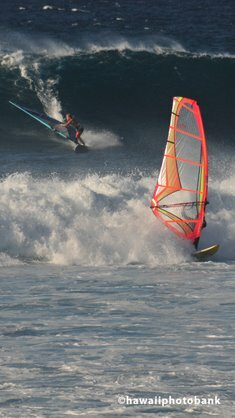 Windsurfers also like Kanaha, as much almost as they do the glamor-puss spot for this sport, Hookipa, which is a few miles down the coast. You won't believe how close it is to the airport, though it's not on main roads. 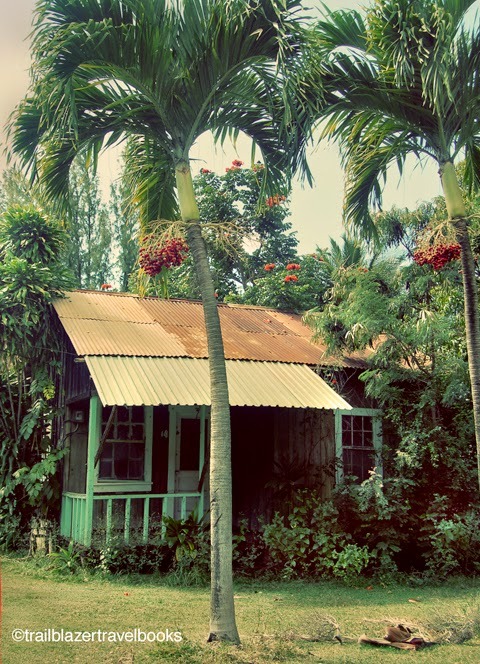 See Maui Trailblazer for more. Shave Ice: It's no snow cone. Shave (not "shaved") ice eats more like soft ice cream than the crunchy snow cone from the Mainland. But essentially, yes, it is nothing but frozen water in a paper cone—before you choose your syrupy, colorful toping. Hmm? Shall you have Strawberry, Pineapple, Lemon, Coconut, Banana, Vanilla, Root Beer, Grape, Lime, Lilikoi (Passion fruit), Orange, Honeydew, Melon, Mango, Raspberry, Watermelon, Bubblegum, Cotton Candy, Pinacolada, Banana Cream, Lihing Mui, Lychee, Cherry, Green Apple, Guava, Tangerine, Green tea, Fruit Punch, Melona, Peach, Creamsicle, Strawberry Cream, Coconut Cream, Mizore, or some combination thereof? Add azuki beans or vanilla ice cream at the bottom? Spash of condensed milk? Whatever, order something and start shoveling with the plastic spoon and let the Aloha happen, brah. You'll find shave ice counters throughout Hawaiian beach towns. Lines form in Haleiwa on Oahu's North Shore outside Matsumoto's, but the treats at Aoki's and H. Miura's nearby are just as good. 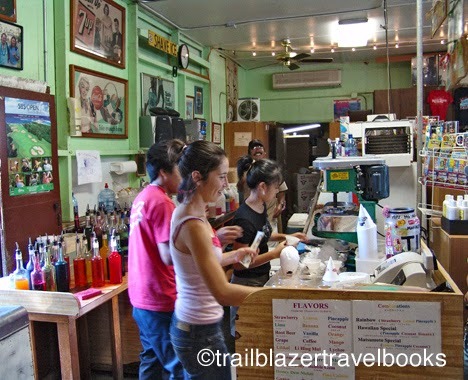 Real shave ice freaks head to Kauai and jam into Jojo's in Waimea. Then again, it's hard to beat the Mauna Kea Icecap from the Kealia Ranch Store south of Kona on the Big Island of Hawaii. Maui Land & Pineapple Co. has been way more about real estate than fruit for many years now, but that changed yesterday in a small move that is big in the hearts of locals. About 65 workers arrived at dawn for the first day of work at a new though much smaller pineapple company that will allow fresh pineapple farming and packing to continue on Maui. They picked 41 tons of the juicy "Maui Golds" in about five hours. The new operation, Haliimaile Pineapple Co. began on 1,000 acres of leased land with some equipment purchased from Maui Land & Pineapple Co.
All workers were former employees of Maui Pineapple, which shut down last week after 97 years in operation. The company laid off about 285 employees and transferred 130 to partner companies. 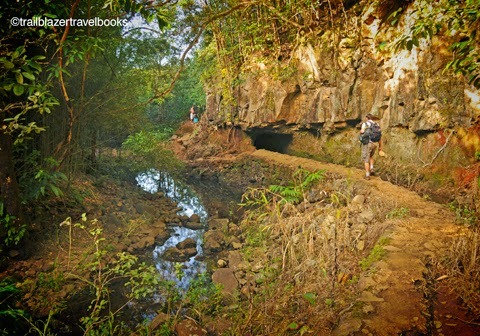 The Sliding Sands trail into Haleakala Crater (technically a valley eroded in the big volcano) lures hikers. It's striking, with miles of trail amid smaller cinder cones. But watch out not to get your eyes too far ahead of your body, since walking back out at 10,000 feet can be more than you bargained for.